See the NWT's unique consensus government in action with a tour from Hon. David Ramsay, Minister of Justice and Industry, Tourism and Investment, and Tim Mercer, Clerk of the Legislative Assembly. Public tours of the building are available for non-legislative guests. Learn about the human and natural history of the Northwest Territories at the Pricnce of Wales Horthern Heritage Centre in Yellowknife. The museum holds in trust a large collection of objects that represent the peoples and cultures of the territory and produces exhibitions that tell stories about the land, people and history of the NWT. Dash through the snowy trails around Grace Lake on an exciting but cozy ride. Meet the dogs, take pictures, and most importantly, have fun! Parkas, boots and mitts will all be provided. Local experts take guests on a tour of the city and learn how this historical gold-mining town transformed into the diamond capitol it is today. See local art and learn about the history and culture of the people that make this area unique. 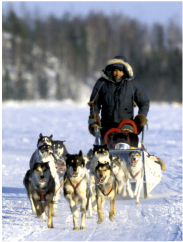 Join us for a special reception at the Northern Explorer Hotel featuring traditional Northern cuisine and music. ​The City of Yellowknife has a long history of mining since the first discovery of gold in 1928. Gold fueled the NWT economy for some 70 years with the Yellowknife gold mines producing 13.5 million ounces of gold since 1938. In 2014 the total value of minerals and diamonds produced in the NWT was $1.89 billion almost exclusively from diamonds. Pamela Strand, director of the Mineral Resource Division of the GNWT will be in attendance and your guide throughout the day. ​Breakfast will be followed by a surface tour by bus that will highlight both Yellowknife’s gold history as well as our active diamond mining industry. The NWT Diamond Center, where you will hear about the stories of Diavik, Ekati and the Snap Lake Mine located 300 kilometers north of Yellowknife. See the story told in an interpretive exhibit that showcases the fascinating geology of kimberlite deposits, the technology of mining in the sub-arctic, and the process to turn a rough stone in a beautiful diamond. Visitors to the centre may purchase diamonds that have been mined, cut and polished in the NWT. Your bus will then take you to see the Robertson Headframe at the past producing Con Mine, currently closed and undergoing reclamation by Newmont Mining. The NWT Mining Heritage Society will be present to present the facts from our rich mineral history. You will then travel to the Giant Mine Remediation Project, a joint project to clean up the surface, stabilize and secure the underground and maintain and monitor the site for the future. Between 1948 and 2004, the Giant Mine was a major economic driver for Yellowknife and the Northwest Territories. When the mine closed, attention focused on the environmental issues left behind, notably 237,000 tonnes of arsenic trioxide stored in underground chambers. The Remediation Project proposes to leave a new and positive legacy behind: a site that will provide an opportunity for many future uses by the community, as determined by the community. Member of the project team will be present to provide an overview and answer questions. Lastly, we will take you on an aerial tour of Yellowknife by Twin Otter on skis and take off from the frozen waters of Great Slave Lake. Explore other sight-seeing, cultural and adventure activities in the Northwest Territories at spectacularnwt.com and www.visityellowknife.com. Make your own souvenir from recycled glass at Old Town Glassworks. We had previously planned to hold a dinner and reception at Aurora Village the evening of Tuesday, Nov. 17. However, due to unfortunate circumstances beyond our control, this event is no longer part of the PNWER itinerary. 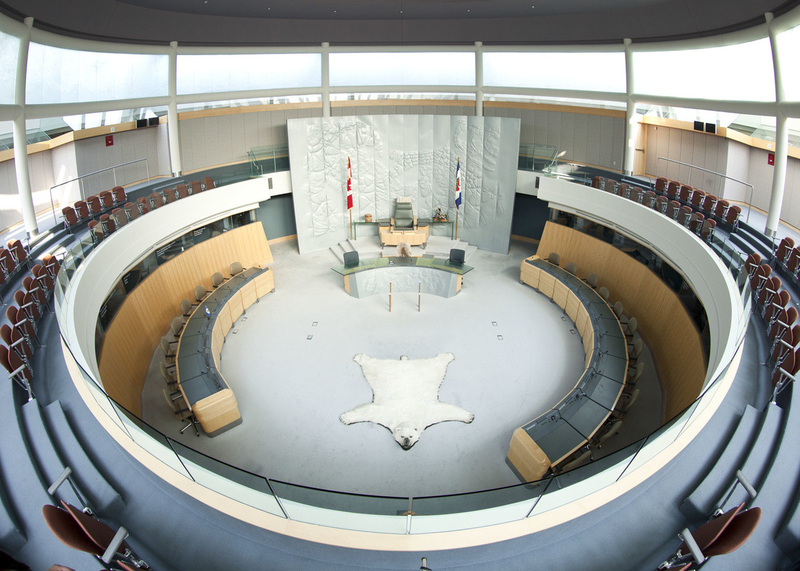 Dinner will be held in the Great Hall of the beautiful Legislative Assembly Building of the Northwest Territories. If you would like to visit Aurora Village on your own, please see auroravillage.com for more information.